Scotland's sense of pride in Andy Murray goes far beyond all that he achieved on the world's tennis courts. His announcement that he is to retire at the end of this season was not an unexpected one following a two-year period when an aggregation of injuries became too much even for Murray's lion-heart. Yet the outpouring of affection and goodwill that followed it conveyed something much more profound than mere pride in sporting prowess. In Scotland's recent history, an assortment of political and cultural figures has been regarded as fathers and mothers of the nation. A statue of Donald Dewar stands at the top of Glasgow's Buchanan Street proclaiming him officially to be the father of the nation. No matter how old Andy Murray gets to be, though, he will always be regarded as Scotland's favourite son. You feel that if you were ever to meet him your first instinct wouldn't be to shake his hand but to tousle his hair or clap him on the back. In his three grand slam title wins and two Olympic gold medals, he gave everything of himself, but his greatness as a competitor and a man could often be glimpsed in his defeats. 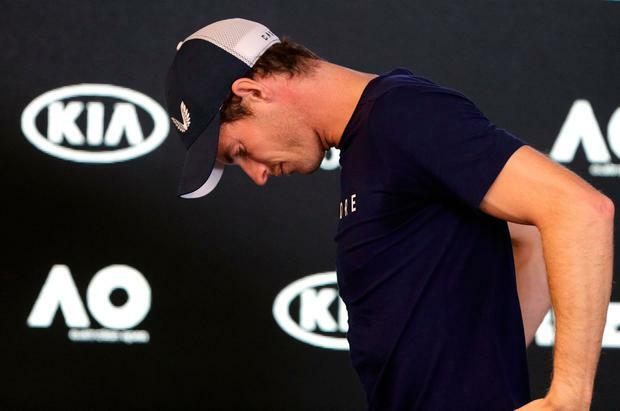 Most of these occurred at the hands of three of the greatest tennis players the world has ever seen: Roger Federer, Rafael Nadal and Novak Djokovic, yet they never, ever defeated him completely; none of them were able to quench Murray's spirit. Scots admire beauty and technical excellence as much as anyone but if these are accompanied by a large measure of sweat and toil then appreciation is raised to adulation. None of his victories was routine, even those in which he was being imperious and sweeping aside an inferior opponent. In games such as these, it always seemed that his beaten opponent appreciated that Murray had prepared and worked for their encounter as much as he'd have done for a match against Federer or Nadal. In the course of chronicling his rise, the veteran and wise Scottish sportswriter Hugh MacDonald got to know Murray and his family more than most other journalists. I once asked him what this seemingly intense young man was like as a person. "He's the shy and likeable eldest son of the next-door neighbours, who babysits your weans when you go for a night out," said MacDonald in a voice that spoke of fatherly affection more than professional admiration. Kevin Bridges, the Glasgow comedian, said that the source of Murray's greatness was in listening to two hardmen in a Glasgow pub musing on Nadal's invincibility on clay and whether Djokovic could ever muster the tools to defeat him on this surface. Previously, all references to Spaniards and Serbs in a tavern such as this would have been about Andrés Iniesta and Dragan Stojkovic. Scottish football aficionados bear the emotional scars of a thousand last-minute heartaches. We have reached a surly accommodation with crushing defeat and are experienced in seeing out the last few minutes of tense encounters. We hope for the win, of course, but have already made the mental preparations for probable defeat. This does not apply when we see Murray play. In those matches where he is serving for the match at the end of another gladiatorial fifth-set battle we find it difficult to remain in the room. It is as though the heightened expectation of an actual victory is too heady for us. As his Wimbledon final against Djokovic in 2013 ticked down to an unbearable dénouement, I departed to a nearby pub, hopeful that by the time I'd reached it Murray would have won and I'd have been spared the tension of those last few moments. We kiss the television at each spellbinding point won; we rant at him crazily and disproportionately, like mad football dads on a touchline: we who know nothing of the nuances of tennis. He didn't seem to have understood the protocol of British sporting defeat. I feel that England has grown to love him too, following a period when it didn't know quite how to react to him. I sensed that the English had become accustomed to Tim Henman and John Lloyd and Sue Barker speaking eloquently and dispassionately after another defeat. Of course it hurt but, you know, let's get some perspective here: it's only a game and they are so gracious and articulate in defeat. And they lost so elegantly and didn't let the side down. This intense young Scot was something else. He didn't seem to have read or understood the protocol of British sporting defeat. He seemed thoroughly pissed off when he was beaten and didn't seem to appreciate being asked stupid questions about it. Nor did he smile as much as he ought to have after victories. Yet wasn't it a great Englishman who wrote: "If you can meet with Triumph and Disaster, and treat those two impostors just the same"? In time, Murray and England reached an accommodation too. They came to appreciate his blood, sweat and tears and that this fiercely proud Scot, who had spoken of his support for independence, was nonetheless happy to be a flag-bearer for Britain in the Davis Cup and at the Olympic Games. He, in turn, leavened his retorts with a dry wit and a cool awareness of bigger issues around the game, such as equality and the status of women in the game. He is undoubtedly Scotland's greatest sportsperson and I think he could be Britain's greatest too.